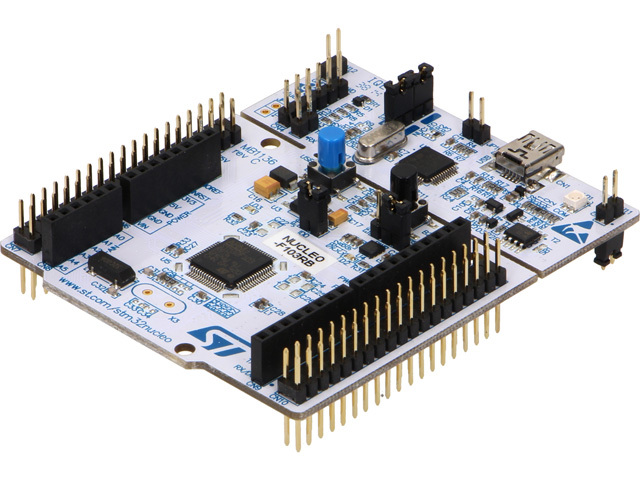 TME’s offer has been extended to include NUCLEO STM32 development kit by ST MICROELECTRONICS. The NUCLEO development kit pin grid is compatible with ARDUINO and ST Morpho standard pins, which allows you to expand the functionality of the base boards using many available expansion cards, so-called. “shields". An integral part of the NUCLEO development kits is a built-in programmer/debugger compliant with ST-LINK, allowing you to commence work immediately with a microcontroller without the need to purchase additional tools. an environment with GCC compilers (Atollic True Studio). NUCLEO in the TME offer.